New Hayden Christensen Autographs & Banner Auction at SWA! These autographs were signed just two weeks ago at Rhode Island Comic Con! 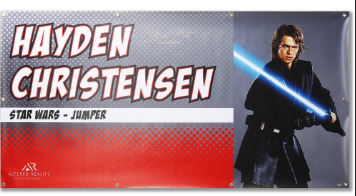 And if you want something truly remarkable in your collection, you can bid on this one-of-a-kind autographed banner signed by Hayden Christensen at RICC. Bidding starts at $500 and runs through this Sunday 11/18. 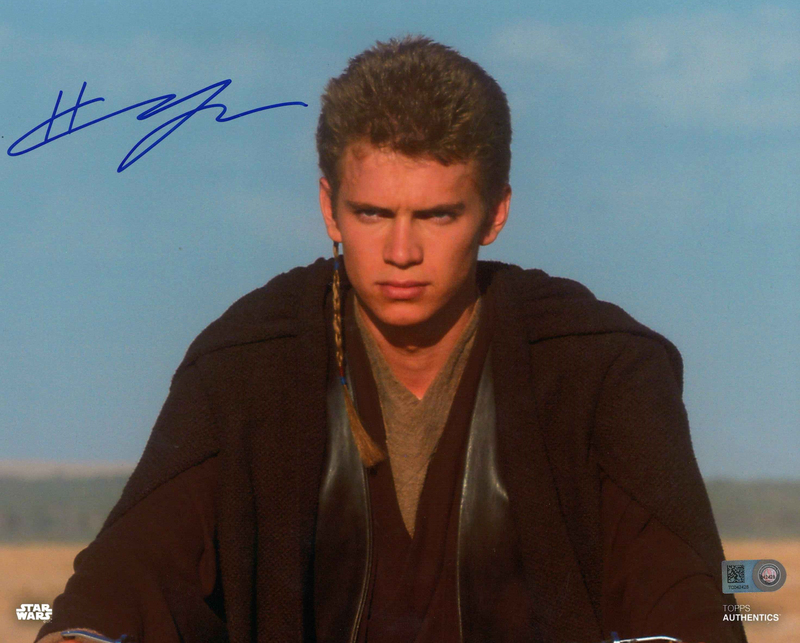 └ Tags: New Hayden Christensen Autographs & Banner Auction at SWA! The latest batch of official photos from Star Wars Resistance episode 7 are on sale now at Star Wars Authentics! 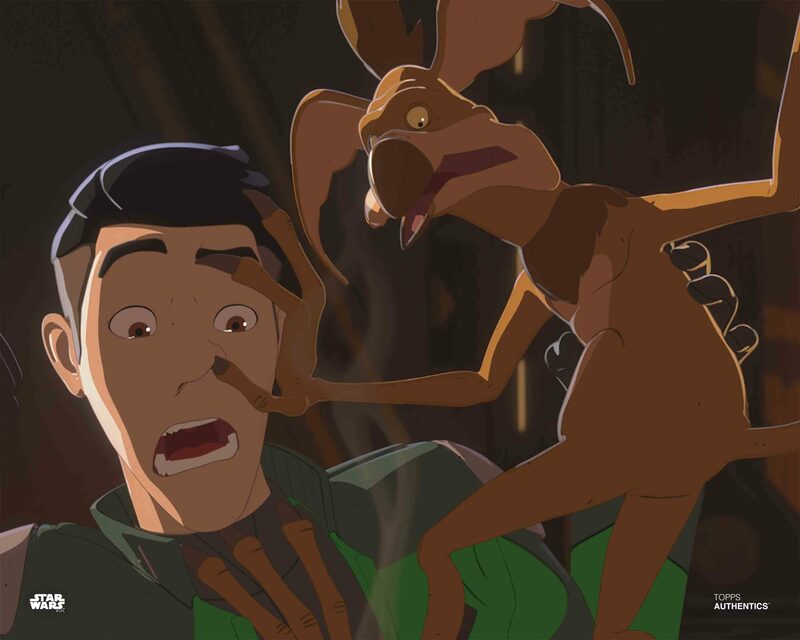 Check out the collection here featuring new images of Kaz and Poe, the Kowakian, new Resistance droid CB-23, and mysterious pirate Synara San at this link! The auction runs through this Sunday 11/18. 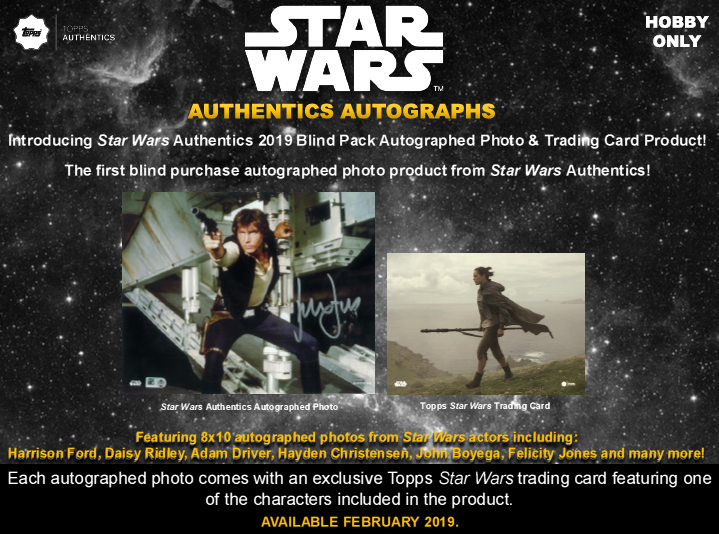 2019 Topps Star Wars Authentics Blind Purchase Product! Harrison Ford, Daisy Ridley, Adam Driver, Hayden Christensen, John Boyega, Felicity Jones and many more! 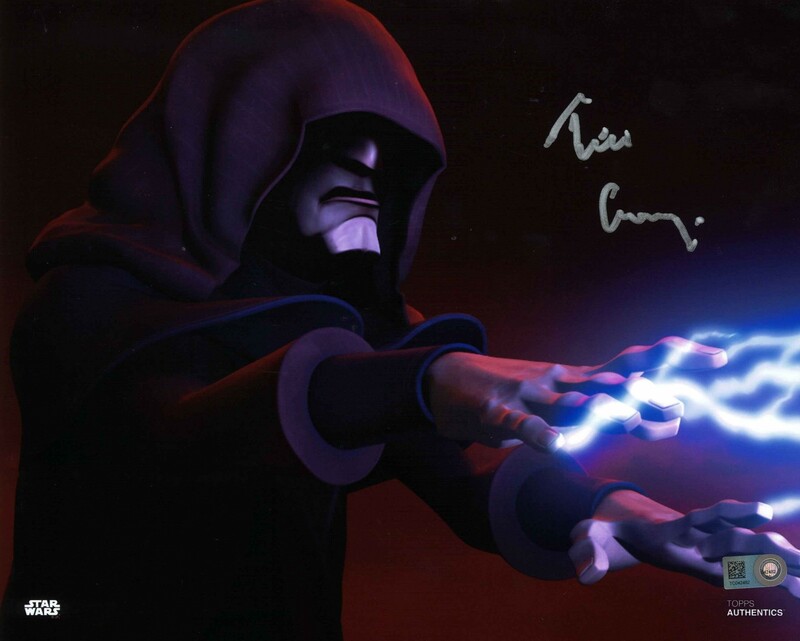 New Exclusive Tim Curry Autographs at Star Wars Authentics! Star Wars Authentics is thrilled to announce the launch of Tim Curry autographed photos! The legendary Tim Curry is known for iconic movies like The Rocky Horror Picture Show and Clue as well as his terrifying turn as Pennywise in the miniseries It. 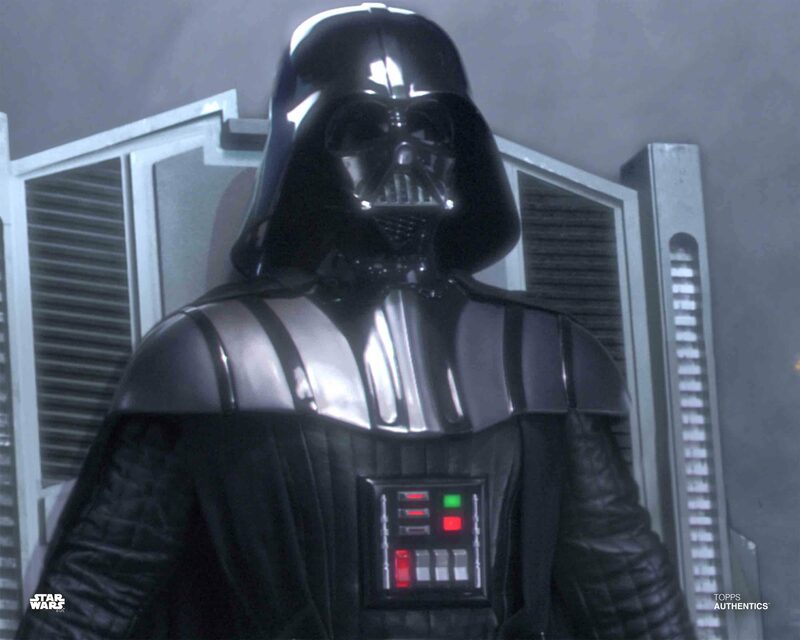 Tim Curry took over the role of Palpatine in the fifth and sixth seasons of Star Wars: The Clone Wars. You can find his autographed photos here with limited quantities available! └ Tags: New Exclusive Tim Curry Autographs at Star Wars Authentics! New Star Wars Resistance Official Photos at Star Wars Authentics! New Official Photos from last night’s episode of Star Wars Resistance “The Children of Tehar” are live on the Star Wars Authentics site! 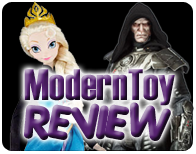 Check out the full collection here including our first pics of First Order soldier Pyre played by Liam McIntyre at this link! 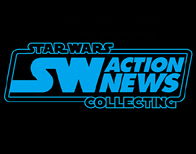 Check back later this week for more exciting autograph news coming from Star Wars Authentics! └ Tags: New Star Wars Resistance Official Photos at Star Wars Authentics! 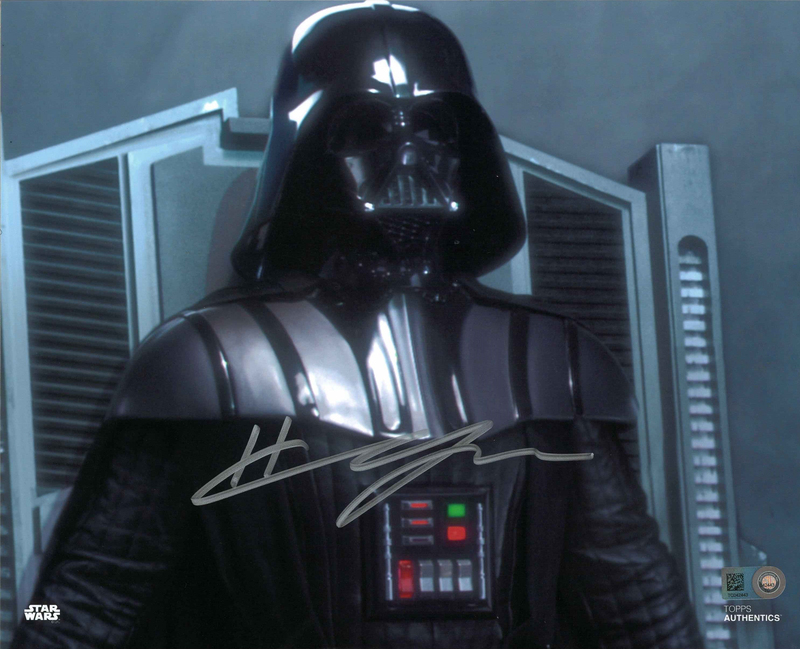 Last Chance to Preorder New Hayden Christensen Autographs! Preorders will close Thursday 11/1 at 9PM ET. 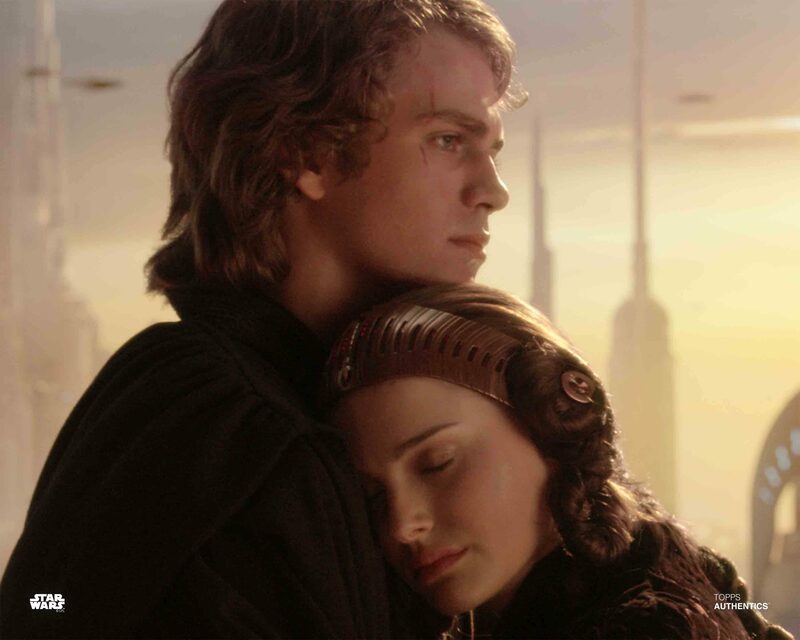 NEW Hayden Christensen autographed 8×10 photos are on sale now through Thursday as a Pre-Order Only at Star Wars Authentics! CLICK HERE to see the choices! 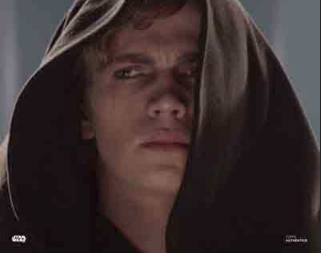 There are 7 new Hayden Christensen autographed photos to choose from. 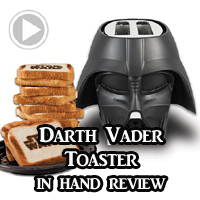 Images include photos from AOTC and ROTS; solo and group shots; and even one select with Hayden as Darth Vader. The presale ends Thursday and we will only getting Hayden to sign the quantity ordered. The photos are on sale at Hayden’s regular price of $159.99. 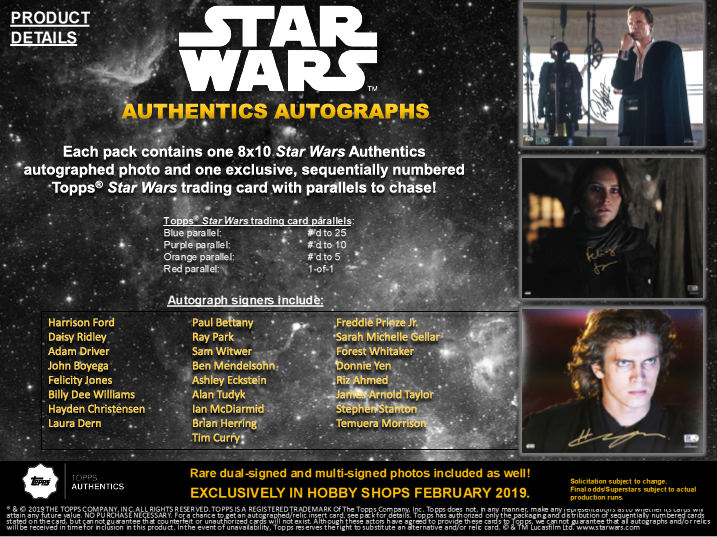 └ Tags: Last Chance to Preorder New Hayden Christensen Autographs! New Rogue One Official Photos Live on Star Wars Authentics! 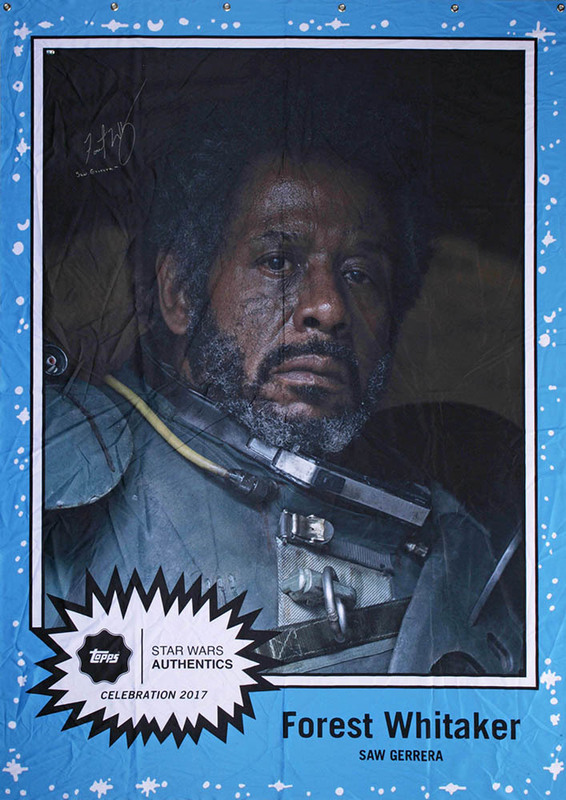 Star Wars Authentics just added another 50 new official photos from Rogue One to the site, taking the total number from the film to over 220. 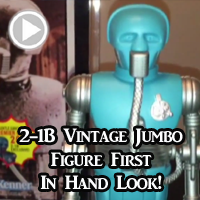 Check out the collection here, with the most recently added listed first at this link! 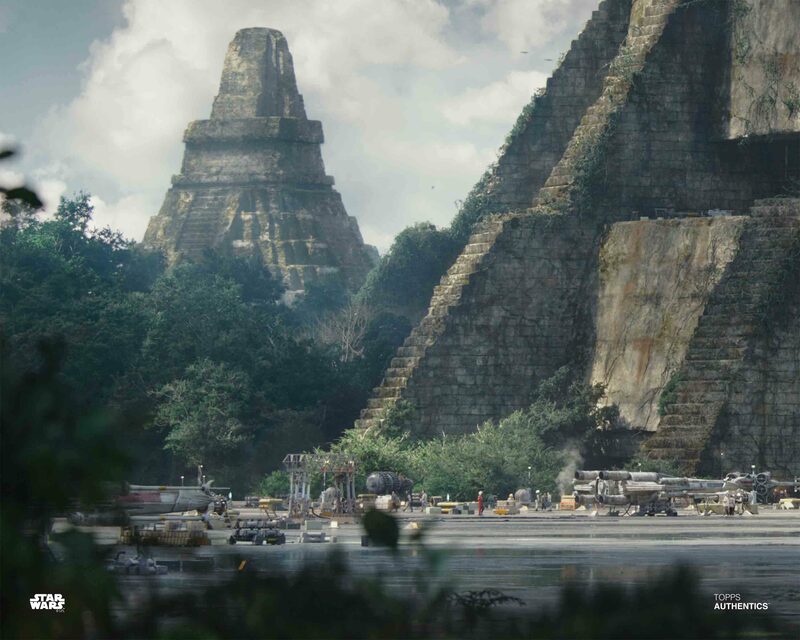 New official photos include pics of vehicles like U-Wings, locations like Jedha and Yavin 4, battle scenes like the battle of Scarif, along with additional character photos of Jyn, Cassian, K-2SO and Darth Vader, plus newly added characters like young Jyn Erso, Rebel pilots and soldiers, and many more! Don’t forget the second Gift-With-Purchase is running now – Make a $49.99 autograph purchase and receive an exclusive Topps Star Wars: The Empire Strikes Back trading card set! 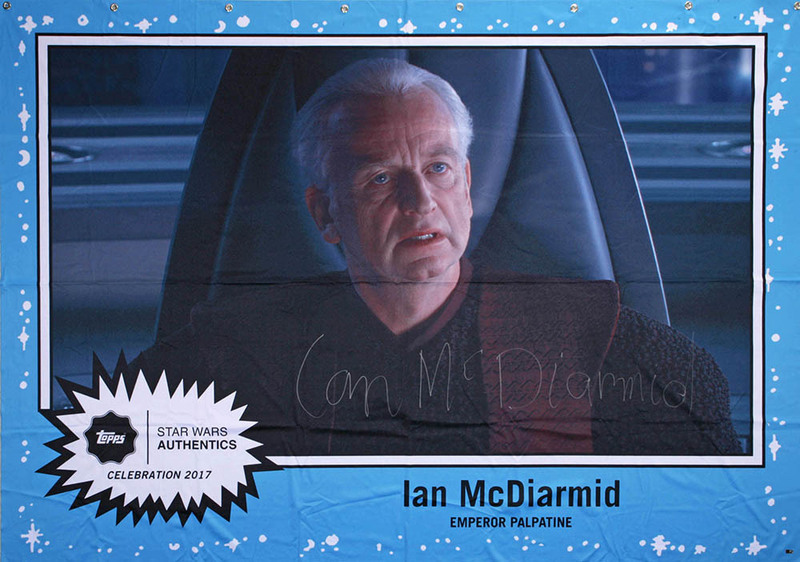 Each set contains 5 cards featuring characters from the film and is sequentially numbered to 50. Shop the autograph options here! It’s also the final days to order your John Boyega autographed photo at 40% off if you want it delivered in time for Gwendoline Christie to sign at Rhode Island Comic Con, Click Here for those photos! 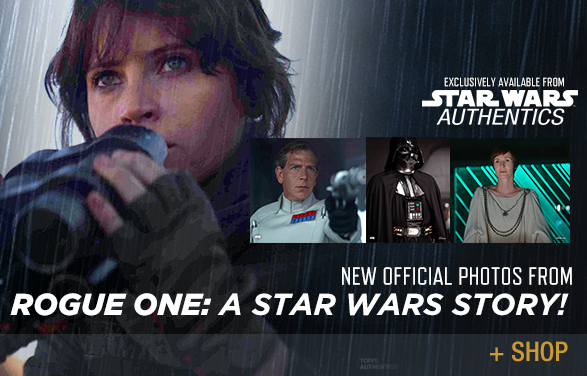 └ Tags: New Rogue One Official Photos Live on Star Wars Authentics! 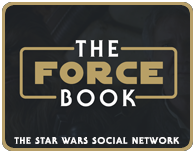 SWA Gift With Purchase – The Empire Strikes Back Card Set Available Now! Star Wars Authentics just launched the second Gift-With-Purchase trading card set at Star Wars Authentics featuring The Empire Strikes Back! 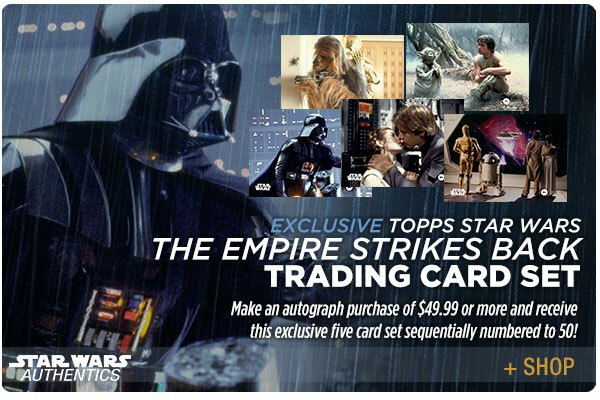 Make any autograph purchase of $49.99 or higher and receive an exclusive Topps Star Wars: The Empire Strikes Back trading card set. Each card set contains 5 cards featuring scenes from the classic film and is sequentially numbered to 50. Ge ‘em before they’re gone! Start shopping at this link or click below, the first set went FAST and appreciated very quickly in value! 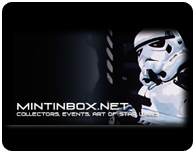 └ Tags: SWA Gift With Purchase - The Empire Strikes Back Card Set Available Now! 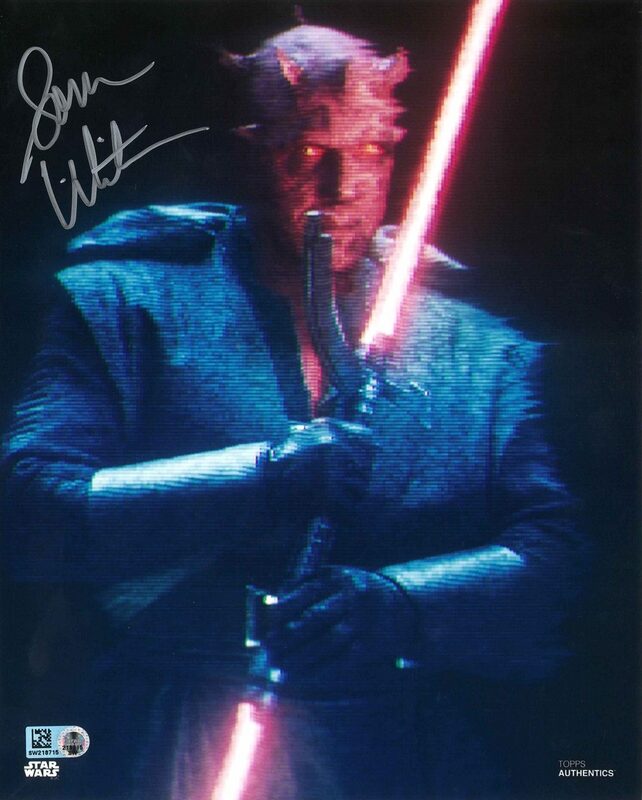 Sam Witwer Autograph Sale 30% Off at Star Wars Authentics! Maul Lives! To celebrate Sam Witwer’s birthday today, his autographs are 30% off at the Star Wars Authentics site all weekend long starting tonight! 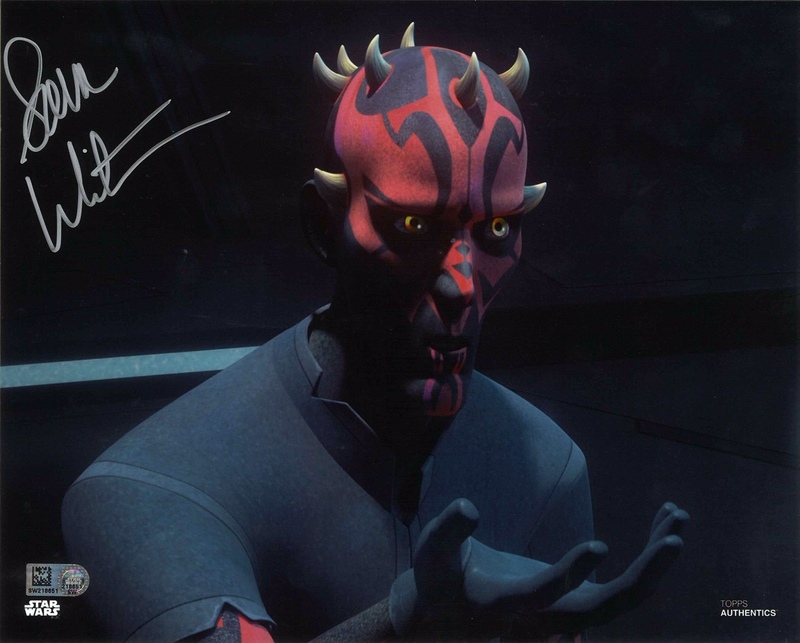 Check out his autograph collection featuring signed photos from Star Wars: The Clone Wars, Star Wars Rebels and Solo: A Star Wars Story at this link! The sale ends Sunday night at 11:59pm EST. 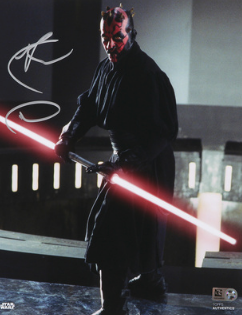 └ Tags: Sam Witwer Autograph Sale 30% Off at Star Wars Authentics! 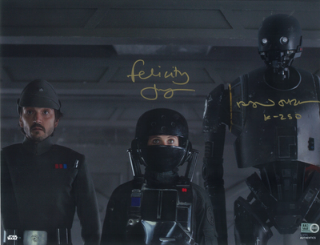 Celebrate Felicity Jones’ Birthday with 40% Off Autographs at Star Wars Authentics! It’s Felicity Jones’ birthday and Star Wars Authentics is celebrating with 40% off all her autographs! 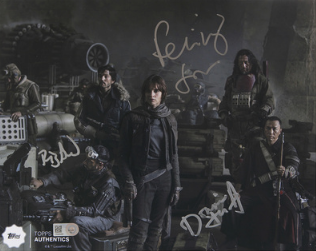 Save 40% off signed 8×10 and 11×14 photos from Felicity Jones, the star of Rogue One: A Star Wars Story including multi-signed pieces! See her entire collection of autographs at this link! Save 40% of Felicity’s dual-signed photo with Alan Tudyk, click here! Save 40% of Felicity’s multi-signed photo with Donnie Yen and Riz Ahmed right here! The sale runs through Thursday 10/18 11:59pm EST. └ Tags: Celebrate Felicity Jones' Birthday with 40% Off Autographs at Star Wars Authentics! New Rogue One & Cloud Riders Official Photos at Star Wars Authentics! Star Wars Authentics just added 30 new official photos from Rogue One: A Star Wars Story to our collection along with new photos of the Cloud Riders from Solo: A Star Wars Story. New photos from Rogue One include battle scenes, vehicles, locations, and new images of key characters like Jyn, Cassian and Chirrut. └ Tags: New Rogue One & Cloud Riders Official Photos at Star Wars Authentics! Ashley Eckstein Autographs On Sale Now at Star Wars Authentics! Ahsoka Lives! 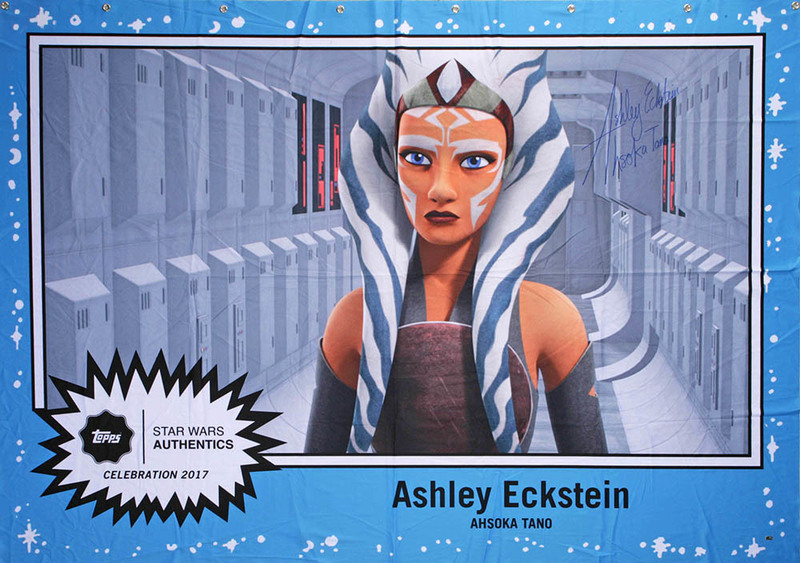 Pick up autographed photos from the one and only Ashley Eckstein, actress behind the beloved Ahsoka Tano, at Star Wars Authentics! Featuring autographed photos from Star Wars: The Clone Wars and Star Wars Rebels, we have a variety of images to pick from including some powerful moments from Ahsoka’s journey like her departure from the Jedi Order and her epic duel with Darth Vader. Check out the collection at this link! 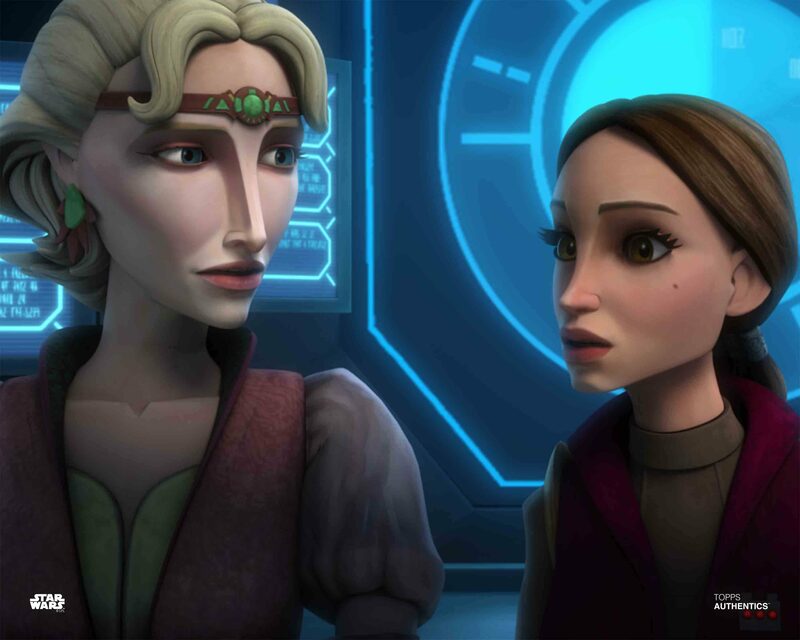 └ Tags: Ashley Eckstein Autographs On Sale Now at Star Wars Authentics! John Boyega Autos 40% off for RICC Co-Sign Possibility! 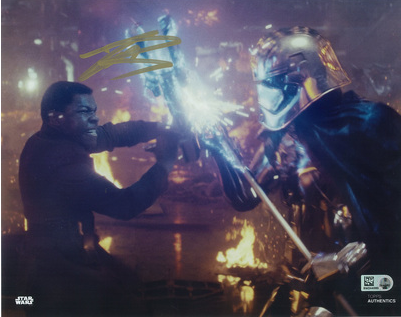 Great news from Star Wars Authentics, In prep for the Gwendoline Christie signing at Rhode Island Comic Con, they have reduced all of the John Boyega autographed photos that feature his battle with Phasma by 40% off! Check out all the options on the Star Wars Authentics site in 8×10 and 11×14 at this link! └ Tags: John Boyega Autos 40% off for RICC Co-Sign Possibility! New Star Wars Resistance Official Photos from Star Wars Authentics! Star Wars Authentics is thrilled to be the first licensee with Star Wars Resistance product in the market! They have 65 hot-off-the-press official photos from the two-part premiere ‘The Recruit’ on sale now! See the first images of Kazuda Xiono, Jarek Yeager, Neeku, Orka, Torra Doza and many others! Shop the collection at this link! They will have new official photo the day after each episode airs so come back next Monday for images from episode 3! 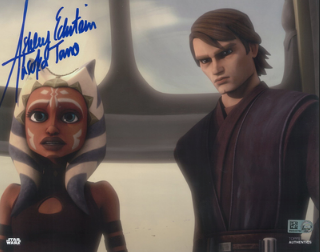 And later this week autographed photos from Ashley Eckstein, the one and only Ahsoka Tano, will be on sale on the site! └ Tags: New Star Wars Resistance Official Photos from Star Wars Authentics! Introducing the first official photo collection from Star Wars Forces of Destiny from Star Wars Authentics! 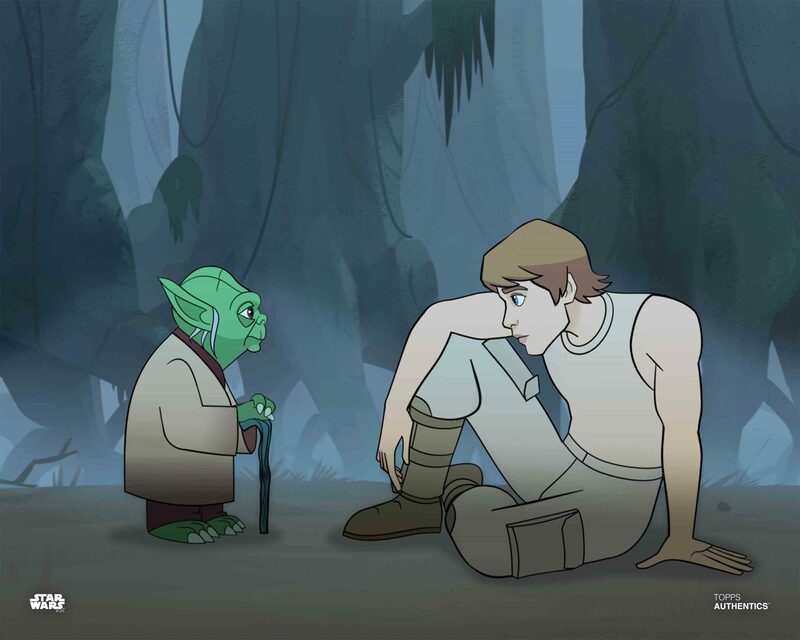 Featuring 100 official photos of characters from the new Youtube series Star Wars Forces of Destiny, click here to check them out! Check out new images of Rebel Alliance leader Princess Leia Organa, scavenger turned hero Rey of Jakku, Jedi Padawan Ahsoka Tano, Rebel pilot Hera Syndulla, Rebel fighter Jyn Erso, and one of the newest women in the saga, the mysterious Qi’ra of Corellia. Use code SWASOLO to Save 10% at checkout! Visit Star Wars Authentics at New York Comic Con at Topps Booth 454. We’ll have discounts on Star Wars Authentics autographs, exclusive product for sale, promo cards, giveaways and much more! Plus, on Friday October 5th at 10am be one of the first 50 fans to come to the booth for a free Star Wars Authentics autograph from Ahsoka Tano herself, Ashley Eckstein! 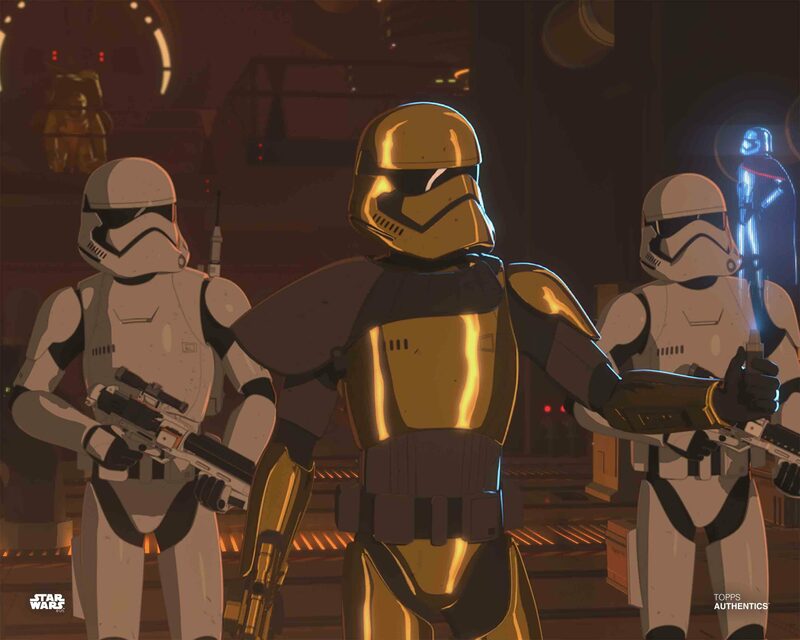 The “Animation Celebration” continues next week with new official photos from the upcoming series Star Wars Resistance going live Monday October 8th! 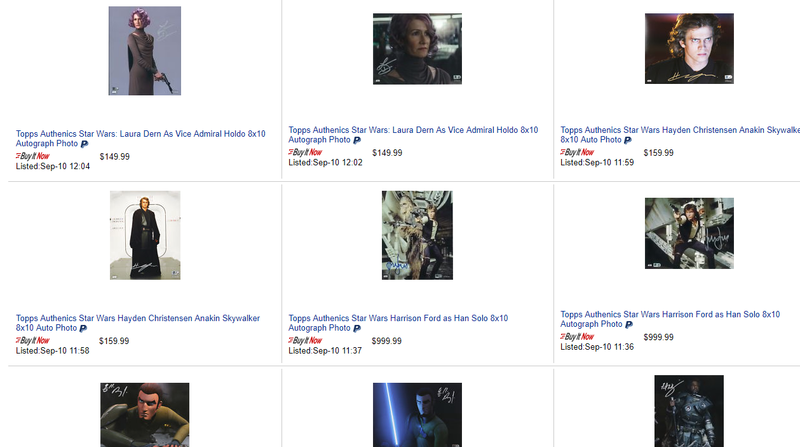 Star Wars Authentics has a limited collection of autographed photos for sale in the Topps Vault eBay store. Now is the perfect time to shop the collection with discount code PICKSOON to save 15% on your purchase. The autograph lineup includes Harrison Ford, Daisy Ridley, Adam Driver, John Boyega, Felicity Jones, Laura Dern, Ben Mendelsohn, Paul Bettany, Sarah Michelle Gellar, Freddie Prinze Jr. and more! Click here or below to Shop Now! 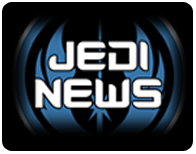 Yodasnews: Thank you again for taking the time to speak with us! 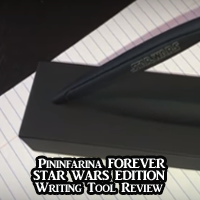 Last time we did a QnA with you was back in February (check that out at this link), so much has gone on with Star Wars Authentics in the last 7 months, we figured it was time to catch up again. Let’s start with how many new photographs have been added, there has been over 1,000 new options added, let us know a little bit more about how you guys got so many great options added from across the galaxy? Mark Von Ohlen: Thanks for having me back! You know I’m a huge fan of your site. It’s been a fantastic year for Star Wars Authentics with tons of new official photos added to the site, new autograph signers added and even new autographed Funko Pop items! 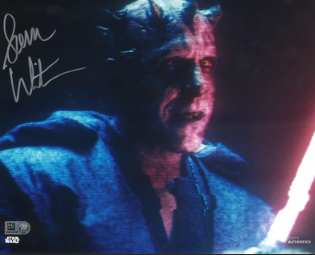 This year we introduced several new autograph signers with Sam Witwer, the voice of Maul, being our latest addition along with Paul Bettany, the lead villain in Solo and Ben Mendelsohn, the lead villain in Rogue One so it’s been a particularly good time to be evil. We also added over 1,300 new official photos in the last 12 weeks. We received feedback from our customers on specifically what photos they were looking for and we started to hunt that down. We then made sure each movie and TV show was represented. And we have more additions coming before the year is up! Q: That is great! Solo comes out on Blu and DVD in a few days, what does SWA have for customers now from Solo, and what can we expect to see in the future from Solo? A: We’re so excited to see Solo out on home video. This means we can finally share lots of images from the movie that we couldn’t include in our first drop. 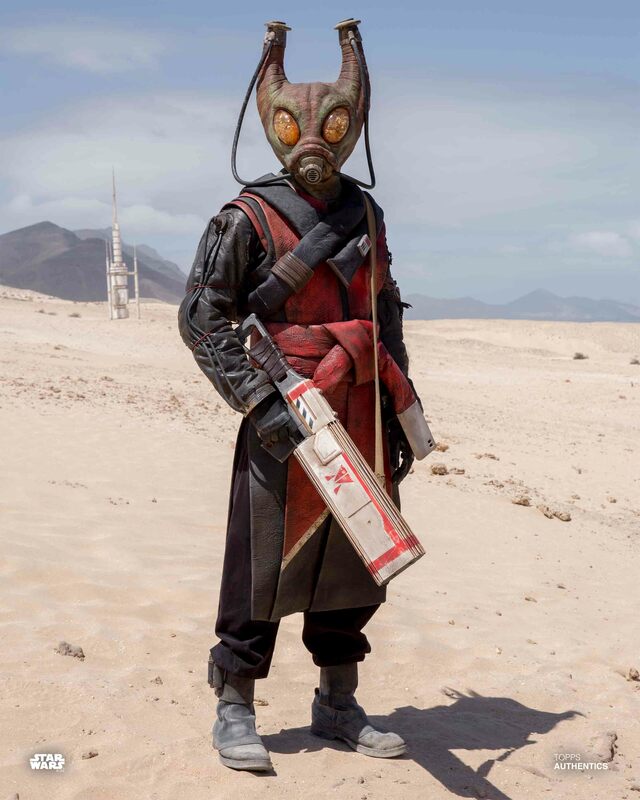 We added over 100 new official photos to the site including our first images of Maul, Enfys Nest unmasked, Rio Durant and lots of new scenes. Here is a direct link to see the whole collection! Q: How was it working with Sam Witwer, the voice of Maul from Solo? Q: You already have Ray Park on the site, any plans to get us some dual signed Sam Witwer and Ray Park? 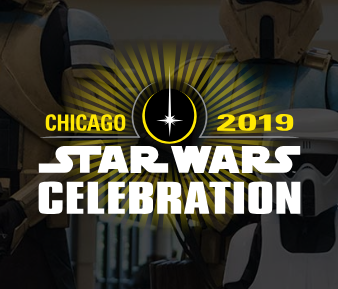 Q: Any updates on the SW Celebration Autograph Pavilion for 2019? 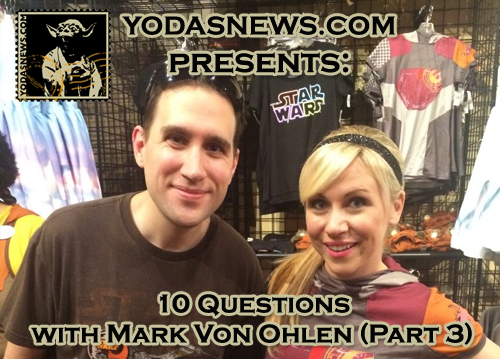 A: We have a lot going on in the background for Star Wars Celebration 2019. We can’t reveal any details just yet but know that we are working hard to make sure the 2019 guest list is just as good as last year’s. You can expect guest reveals to occur on the official Star Wars channels or from the Topps Facebook page (www.Facebook.com/Topps) so unless you hear it there, assume it’s a rumor. Q: The new additions of vehicles and battle scenes have been great, will you continue to add more of those to the site? Maybe even some signed combo pieces? A: More vehicles, battle scenes and locations are coming soon. Over the past 12 weeks we have added over 1,300 new official photos to the site. 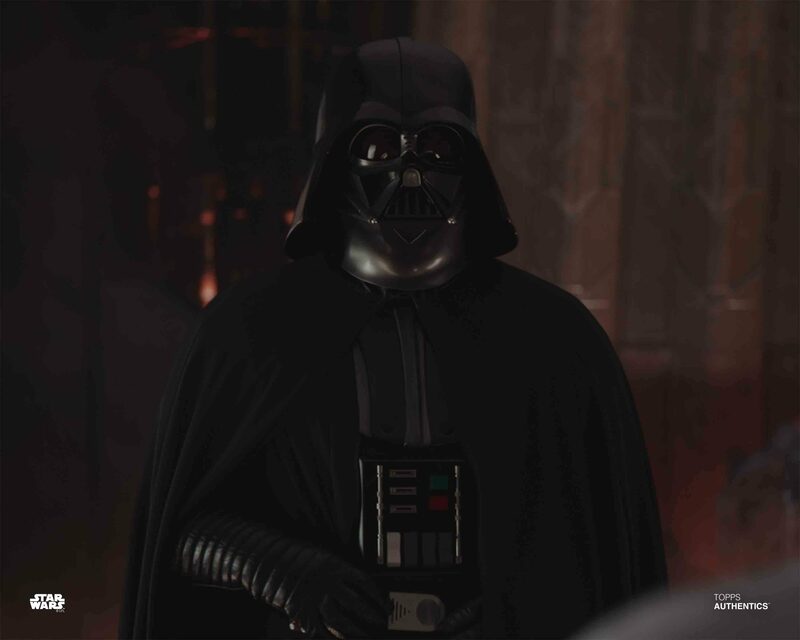 Our top priority was to make sure all the movies were represented so we went back and added photos from the classic films and the prequels followed by images from The Clone Wars and Rebels. We prioritized main cast characters and major scenes. Also keeping up with what’s new and recent we had to get Solo up for the home video release and then we’ll go back and add more pics from Rogue One. 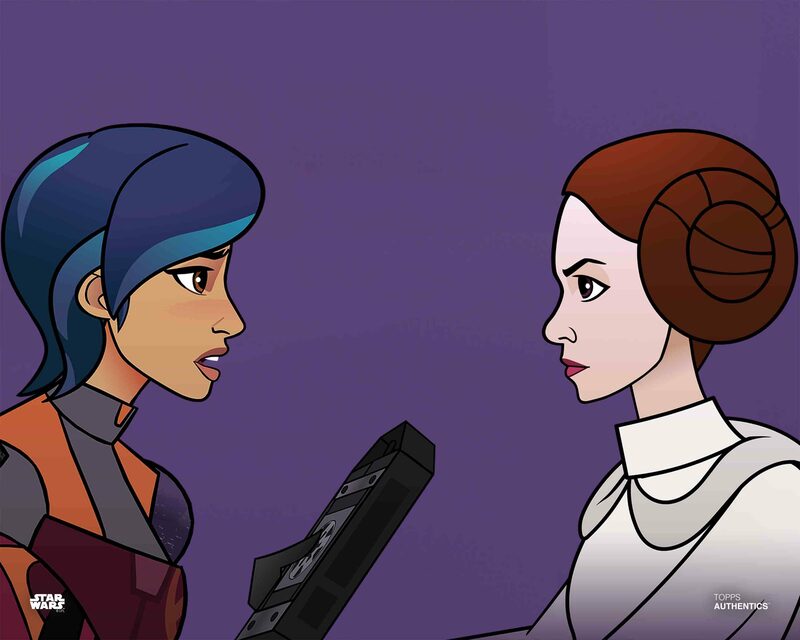 We’ll also have some Forces of Destiny and eventually photos from the new series Star Wars Resistance. Q: POP! 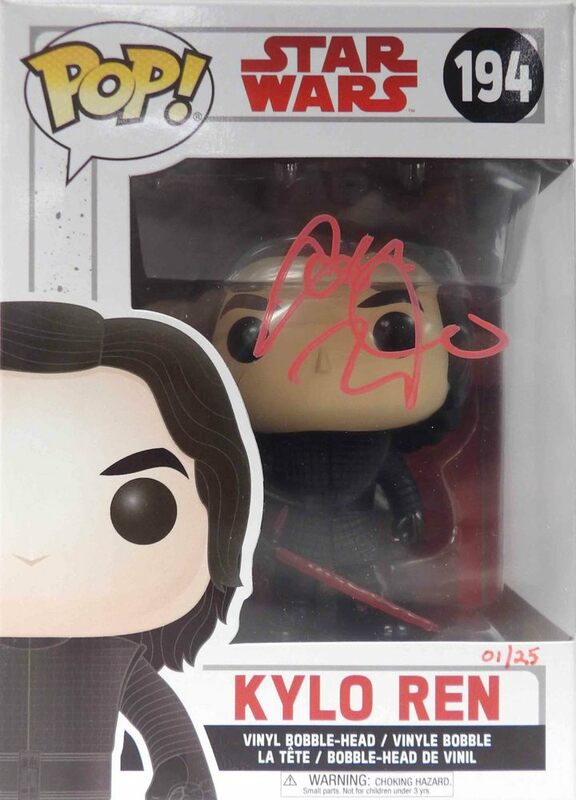 Collectors loved seeing the Kylo offered with the exclusive card, are you just testing the waters to see if people want the signed POPs from SWA, or are you planning to offer more in the future? 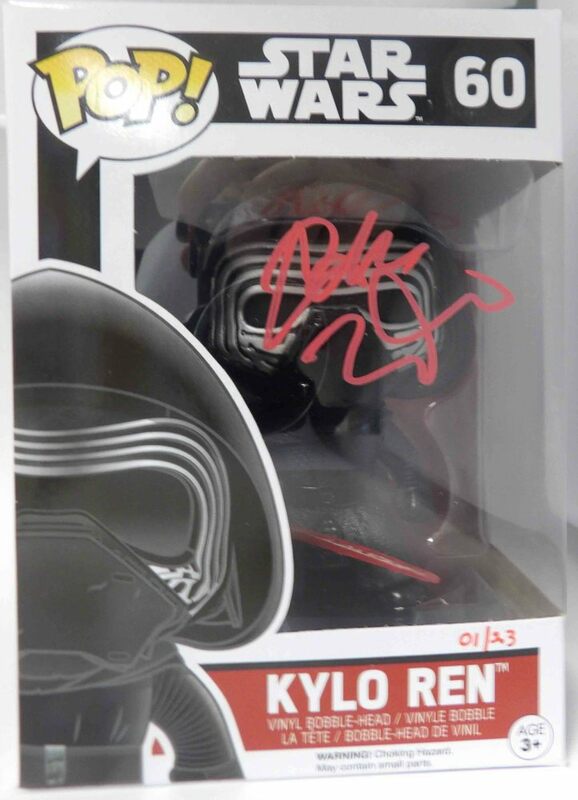 A: The Adam Driver autographed Funko Pops are very much a test to see what people like. We kept the number available pretty small with just 48 total available. We also really wanted them to feel special and unique to Star Wars Authentics. Aside from the Authentics hologram, which guarantees the authenticity, each autographed Funko Pop is stored in a hard plastic protective case made by Funko. We also included a sequentially numbered Topps Funko Star Wars trading card that you can only get with the Funko figure. If consumers like these offerings, we may try some more or even expand into other autographed licensed products. Q: We heard Forces of Destiny images are coming, do you plan to also offer autographs from the voice cast, or just images at this point? 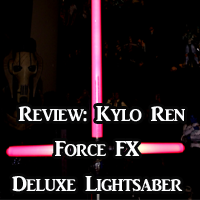 A: I’m really excited to offer official photos for Star Wars Forces of Destiny. It’s a really cute show and the animation style makes for very bright and colorful photos that look great printed. We’re going launch with official photos first and evaluate if we move forward with autographs down the line. There are some new actors from FOD that would make great first time-signers. If we secure anyone I will be sure to alert you. Q: Since I love both cards and autographs, the limited edition set was music to my ears and I loved getting a super limited set for buying what I love anyway. Will we have more sets offered like this? A: The first gift-with-purchase trading card set that we did, which featured 5 trading cards with images from A New Hope, was quite the hit. 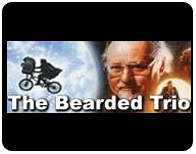 I’ve been asked by numerous fans if we have another one coming. We are working on a set for The Empire Strikes Back. Hopefully we can get that sorted in the next few weeks. 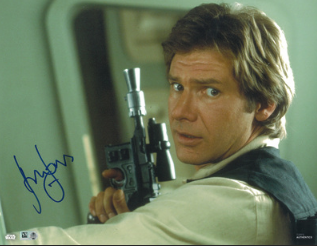 Q: You guys recently added the mega rare Harrison Ford, are you working on getting more classic signers for SWA? A: Harrison Ford has some great signed merchandise on the site. 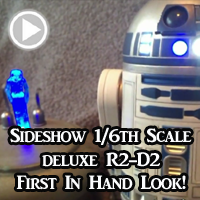 You can see his collection here, which includes 8×10’s and 11×14’s and a variety of photos from the classic films and The Force Awakens. We’re always looking to add new signers to the site, though we are largely keeping it focused on principal cast members at the moment. 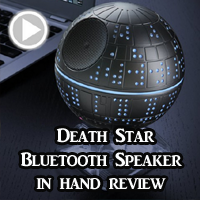 With the classic cast, we currently have Harrison Ford, Billy Dee Williams, and Ian McDiarmid. We are looking to add some additional classic signers in the future but we don’t have anyone to announce right now. Q: Any special plans for NYCC coming up in a few weeks? Any signers at the booth? A: New York Comic Con is going to be a blast. 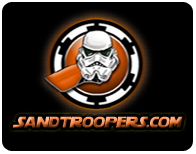 We’ll be promoting all of our entertainment brands including Star Wars, The Walking Dead, Stranger Things, Garbage Pail Kids and Star Wars Authentics. There will be promo cards, giveaways, and exclusive product for sale. We can confirm that Star Wars actress and founder of HerUniverse, Ahsoka Tano herself, the one and only Ashley Eckstein will be at the Topps booth on Thursday October 4th signing autographs. Come visit us at Booth 454! More details will be coming soon. You can follow @Topps on twitter for the latest. Q: Star Wars Resistance airs in just a few weeks, Any plans with that property for Topps or Star Wars Authentics? A: I’m in full on countdown mode for the premiere of Resistance. 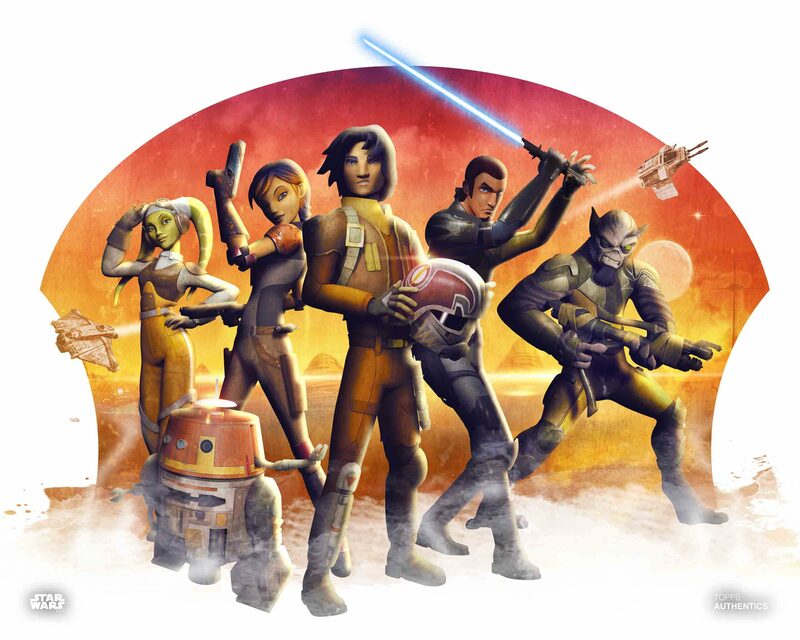 I love Star Wars animation and Rebels is still my favorite part of the saga so I have high hopes for Resistance. From what I’ve seen so far, the animation is really cool – very bright and colorful and clean. 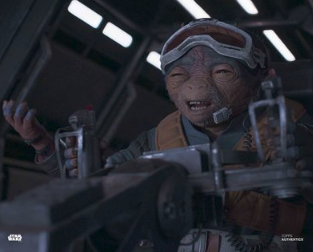 The voice cast is tremendous and I’m excited to learn more about this particular time period in the saga. To celebrate the premiere, Star Wars Authentics will have a collection of official photos for sale on Monday October 8th, the day after the first episode airs. We’ll continue to add new photos each week if possible throughout the first season. And along with Resistance, we also just got access to Battlefront II so we will eventually have official photos from that property as well. Lots of new content being added throughout the next several weeks like Masterwork coming later in the year. 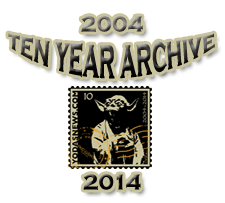 As you know once we’re ready to release any announcements I’ll send it over to all the Yodasnews fans. As always a HUGE thanks to Mark for taking the time to answer our questions! 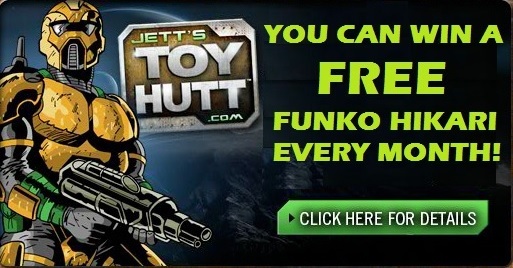 Be sure to follow the links in this article to check out all the cool stuff they have to offer! Star Wars Authentics just added another 80 new photos to the site from Star Wars: The Clone Wars and Star Wars Rebels. As a reminder, we added over 100 official photos from Solo: A Star Wars Story on Friday along with autographs from new SWA signer Sam Witwer as Maul! And don’t forget the extremely limited Adam Driver autographed Funko Pop figures are on sale now!